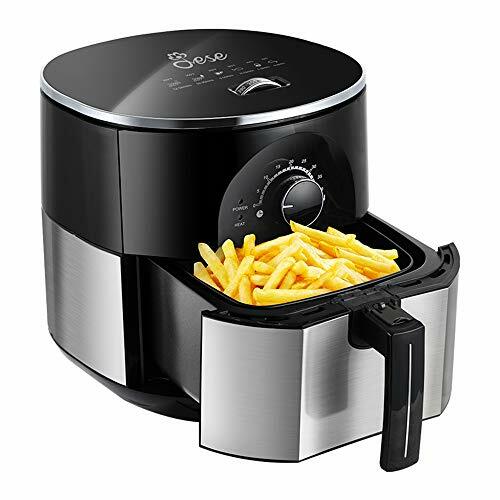 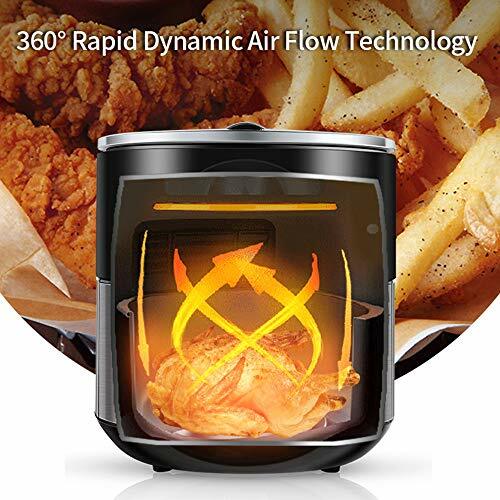 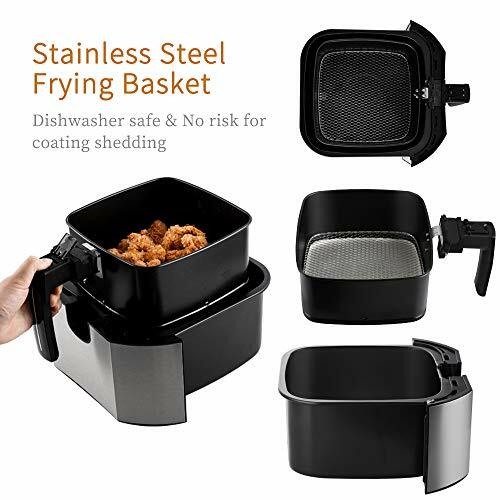 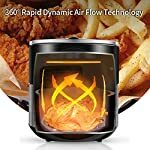 HEALTHIER FRIED FOOD – JESE Air Fryer uses 360° rapid and dynamic air flow technology instead of oil to reduce added calories by 70-80%, without sacrificing the delicious deep-fried taste you crave. 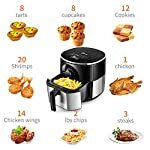 VERSATILITY – JESE integrates the frying, grilling, baking and roasting in one single Air Fryer, offering you tons of possibilities from french fries to frozen snacks, from chicken wings to vegetables. 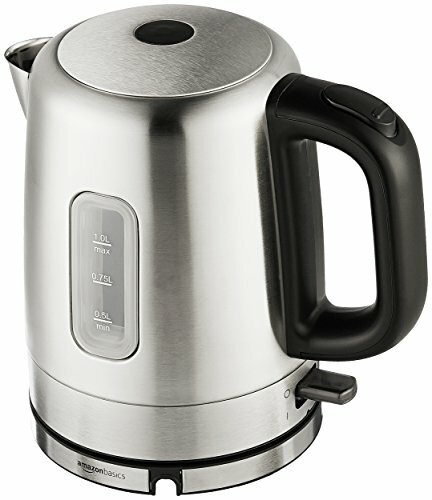 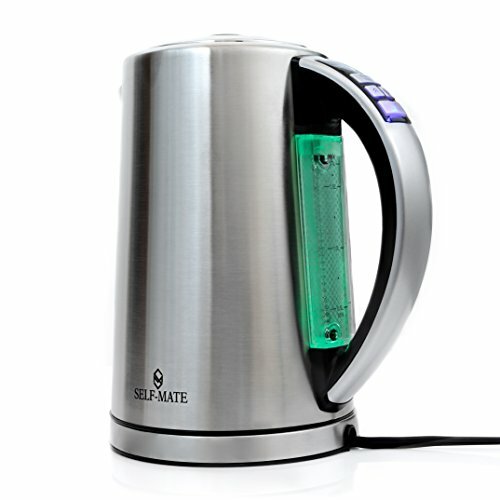 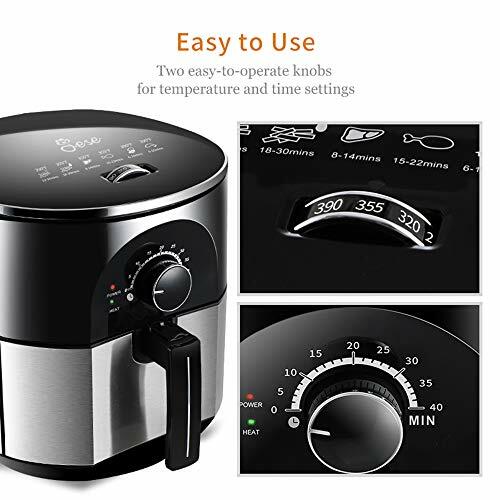 EASY & FAST – Without research work to do, two operational knobs enables quick time setting up to 40mins and temperature settings from 180F to 390F. 6 recommended cooking sets including frozen chips, homemade chips, steak, poultry, chicken and fish, makes things easier and faster for those who have full schedules. 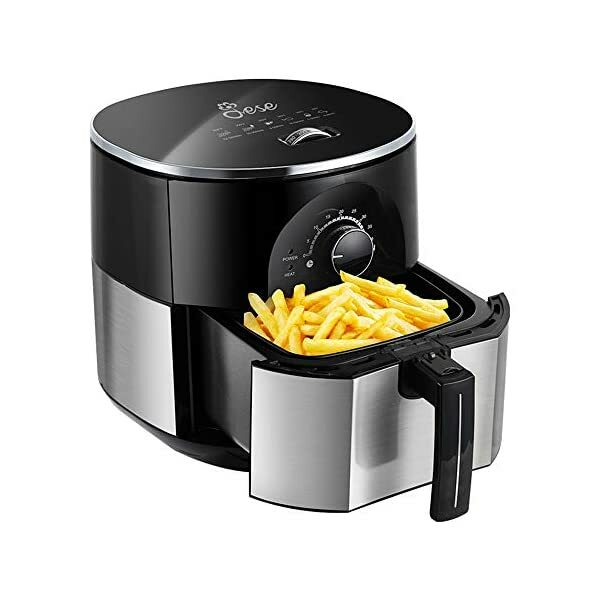 LARGE CAPACITY – With a capacity of 3.5 QT, JESE Air Fryer can prepare fried food for a family of 4 or more. 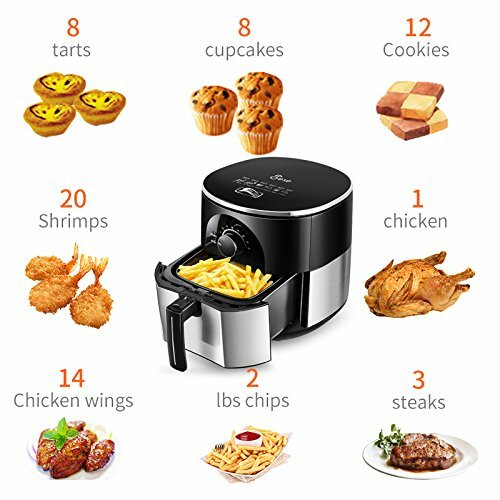 It can cook about 14 chicken wings, 1 pizza, 3 steaks, 2.2 lbs chips, a dozen of cookies, 8 cupcakes, 8 tarts, 6 corns, 20 shrimps. 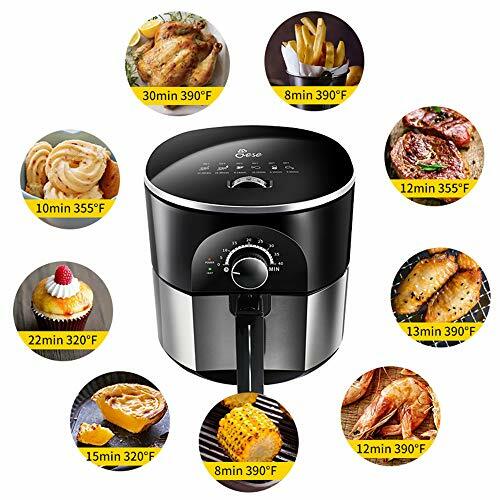 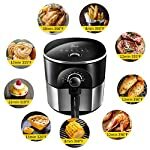 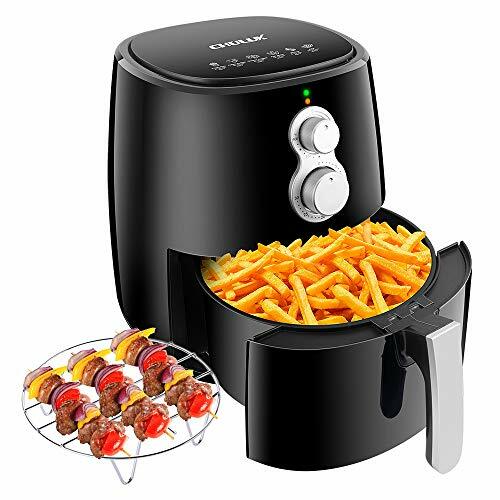 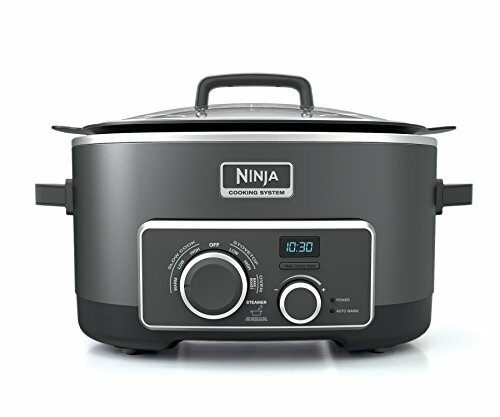 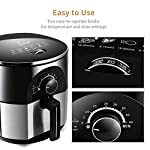 PACKAGE &WARRANTY – 1300w Air fryer x1, Cook book with 23 recipes, 1-month free trial, 2-Year warranty for parts and accessories, 10-Year warranty for the motor and lifetime support.